It is yet again that time of year where this short, sharp tournament is upon us to kick off a new season – this time commencing a little earlier on September 16, with a total of 20 matches taking us through to October 10. Excitingly, 13 of these can be seen on Fox Sports, a nice step up from last year, which saw the entire tournament banished to Cricket Australia’s live stream via website and app. The tournament will take place across Townsville, Sydney, Perth and Melbourne – as the revamped Junction Oval plays host to four matches, including two finals. Most matches are scheduled in the daytime, with a handful of viewer-friendly day/night fixtures included. Perhaps the biggest talking point is the removal of the CA XI development team from the One-Day Cup, after three seasons of experimentation. The Bulls and the Vics will open proceedings on the 16th, and entry to all venues is free throughout for fans – a positive for all. The corresponding show in 2017 saw a dominant Western Australia side make light work of a surprise runner up in South Australia in the decider, as Hobart hosted the finals. The CA XI understandably struggled, managing just the single victory, while Shaun Marsh proved yet again what a fine one day domestic player he is, powering over 400 runs. His teammate Jhye Richardson shared the greatest number of wickets, taking 13 alongside Joe Mennie. In a competition ruled by batting, a remarkable 20 centuries were scored, with a flurry of high totals posted. Looking ahead to this upcoming instalment of the One-Day Cup, most sides will be impacted one way or another by the Australian tour of Pakistan. The question also remains if the reigning champions in the West can be stopped. This unusual finals system will see all sides automatically qualify, with first and second earning a fast-tracked semi-final berth, leaving the remaining four to play off in elimination clashes for a chance. Perhaps hurt the most by international duties will be Queensland and Victoria. The Bulls will be without three top-class batsmen namely Usman Khawaja, Matt Renshaw and Marnus Labuschagne, along with pacemen Michael Neser and Brendan Doggett. For Victoria, they are faced with something of a leadership vacuum with Aaron Finch and Peter Siddle likely to miss a bulk of this tournament. This originally worsened after Fawad Ahmed, Dan Christian and John Hastings were not offered new contracts, seeing 273 matches of combined List-A experience make way. Victoria will be desperately hoping youth quality like Will Sutherland, Sam Harper and off-spinner Tom O’Connell are up to the task. This is sure to be a test of depth for both sides, as Bulls young guns Sam Heazlett and Jack Wildermuth prepare to step up, following the inclusion of five Queenslanders in Australia’s touring party to the UAE. In terms of prediction though, I’ve shifted the Bulls down a few places, purely due to the star power they will miss – all five would be walk-up starts to this side. 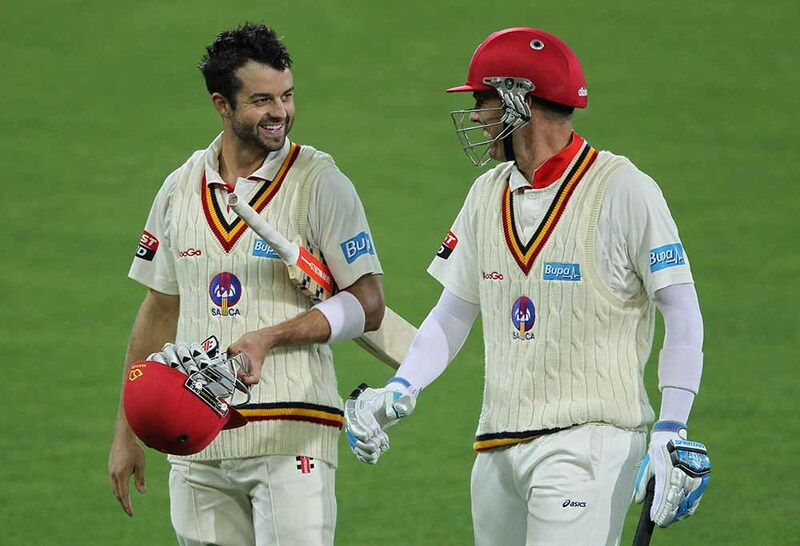 You might say similar for Western Australia, with the calibre of players overseas combined with recent retirements of veterans Michael Klinger and Adam Voges. Adding to the Queensland stocks immensely, Chris Lynn returns to domestic 50-over cricket for the first time since 2013, and, as skipper. 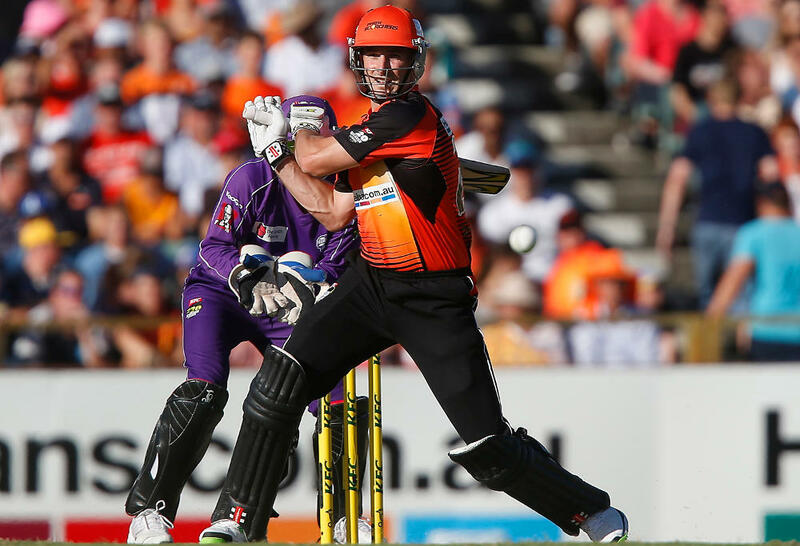 His power-hitting has long been a feature of the BBL, and fans will get to witness much of the same here. Most runs for the tournament? Maybe not – I’d be banking on the evergreen George Bailey or a Redback like Callum Ferguson or Jake Weatherald – but most sixes? Now we’re talking. As mentioned last season saw a tournament controlled by batting through some unbelievable individual performances; but there will also be plenty of quality bowling units on display this year. The Warriors will be hoping Joel Paris can stay fit in their title defence, as he is one of the most talented young quicks in the country, already with ODI exposure. The Victorians will be hoping similar for James Pattinson, as his body holding up could be critical to his side’s chances. The Warriors do have some frightening bowling depth once you also consider Jason Behrendorff, AJ Tye, Cameron Green and the previously mentioned Jhye Richardson. Others appear blessed in this area too – Queensland have the bonus of Billy Stanlake’s availability for this tournament. Tasmania possess a similarly unheralded but ominous bowling unit; Tom Rogers performed superbly in the last domestic season, while Jackson Bird is known quality. The Tigers have spent the off-season preparing under their new (not-so-secret) indoor training tent, gaining valuable turf wicket practice, although have excluded recruit Gurinder Sandhu from their initial squad – the medium pacer has previously spent his career with NSW. Instead they have opted for Nick Buchanan, and well-publicised quick Aaron Summers, who is believed to generate some serious pace. Perhaps South Australia are capable of impressing everyone again. Despite falling to the CA XI to commence last year’s campaign, they were outstanding from there on to reach the final. New captain Jake Lehmann and Alex Carey together will provide excellent young leadership, add their batting to that of damaging opener Jake Weatherald and in-form veteran Callum Ferguson, and your top six is a major asset. Can they launch themselves into another final? They are one of just two teams along with Tasmania who won’t benefit from matches in their home state. Could it be the ageing but classy stalwarts who give their side the best chance? George Bailey may well be 36 but does not appear to be slowing down statistically. The above-mentioned Ferguson continues to flourish in all formats and is a bona-fide domestic gun. While the Blues have the experience of skipper Peter Nevill and Moises Henriques on hand. 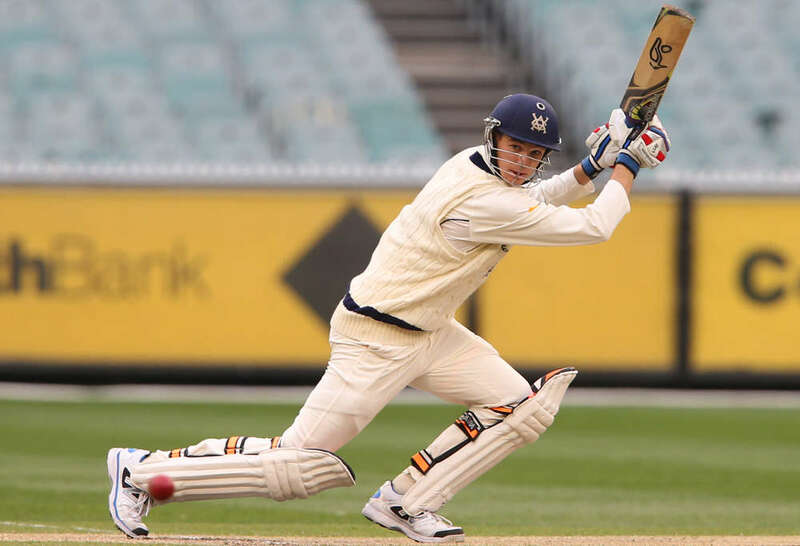 Victoria will be looking to Cameron White and captain Peter Handscomb to lead what is likely to be an inexperienced group, although the Vics have their batting helped by the inclusion of former dynamic NSW left-hander Nic Maddinson. Possibly the only exciting ingredient the tournament will lack is the elephant in the room – the former national captain and his deputy. We are all entitled a free opinion on this, but without delving into any of that, there’s no doubt a tournament with Steve Smith and David Warner in it would not only give NSW an enormous boost, but could increase the viewing appeal of the competition, and attendance figures. Nonetheless, their squad and the entire season will need to make do without both. The Blues will however love having the service of one of the best pace bowlers in the country– Josh Hazlewood should feature as he works his way back from injury, in preparation for the home test season. Who else to keep an eye out for? South Australia’s Cameron Valente has produced some stunning performances with bat and ball in the last few One-Day tournaments, growing into an extremely versatile cricketer. You can also expect D’Arcy Short will be a handful for bowling sides likely at the top of the order, and we are all but certain to see the same consistent old heads as some of the best performers once again. There’s no question youth such as Mickey Edwards (NSW), Jimmy Peirson and Jack Wildermuth (QLD), Matt Kelly (WA), and Seb Gotch and Jackson Coleman (Vic) are among some of the best young talent not to be missed. It would probably be unfair not to include young Tasmanian pair Jake Doran and Ben McDermott, who look to have very bright futures with the bat. A range of stars may be missing, but there is still plenty here to excite. I have little doubt this intriguing tournament should again be an appropriate fit to open the 2018-19 summer season. There are national places on the line, there’s a World Cup for this format happening in less than 12 months, and the auditions are firmly open. Ashton Turner ©, Ashton Agar, Hilton Cartwright, Nathan Coulter-Nile, Cameron Green, Josh Inglis, Matt Kelly, Joel Paris, Josh Phillippe, Jhye Richardson, D’Arcy Short, Marcus Stoinis, Andrew Tye, Jonathan Wells.